The history of human beings is the history of global mobility, as evinced by the long journeys taken by our prehistoric ancestors. And more people are currently on the move than ever before: over 200 million worldwide, a larger population than most of the world’s countries. 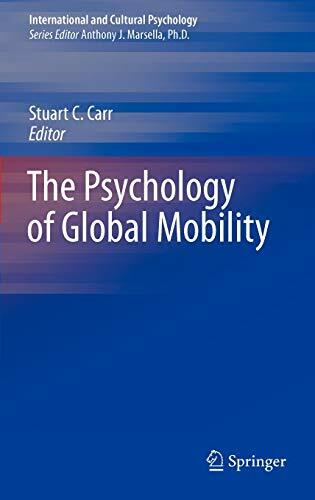 The Psychology of Global Mobility explores the human dimensions behind the statistics―not only the stories of new immigrants and war refugees, but also business travelers, tourists, and students―for a distinctive guide to this ongoing evolution. This groundbreaking volume marks the coalescence of a newly-integrated field. It covers historical context (particularly the drastic changes of the past century); motives and behaviors associated with mobility; acculturation and other forms of adjustment; and social, political, and career capital gained by new settlers. A global long-view connects mobility to concepts of international health and human development, recognizing that both local and global knowledge are necessary for relevant, culturally-attuned practice and policy, the book: · Explains benefits as well as disadvantages of mobility. · Discusses the concept of the “mobile personality” and its real-world implications. · Describes multiple levels of methodological and ethical issues in research and practice. · Analyzes the effects of global mobility on local economies, including controversial “brain drain”/“brain gain” phenomena. · Considers the impact of information technology on physical mobility. · Provides a systems perspective on inclusion and well-being. · Offers detailed examples of interdisciplinary practice and service. 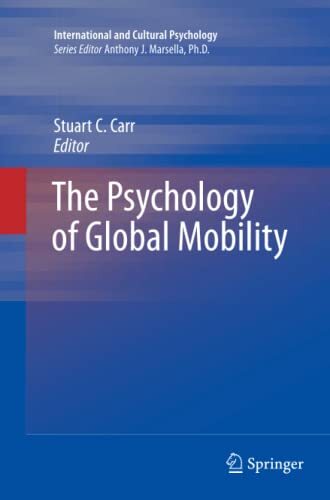 The Psychology of Global Mobility is an essential text for cross-cultural psychologists, sociologists, policymakers, practitioners and researchers studying mobility, migration, and human development.